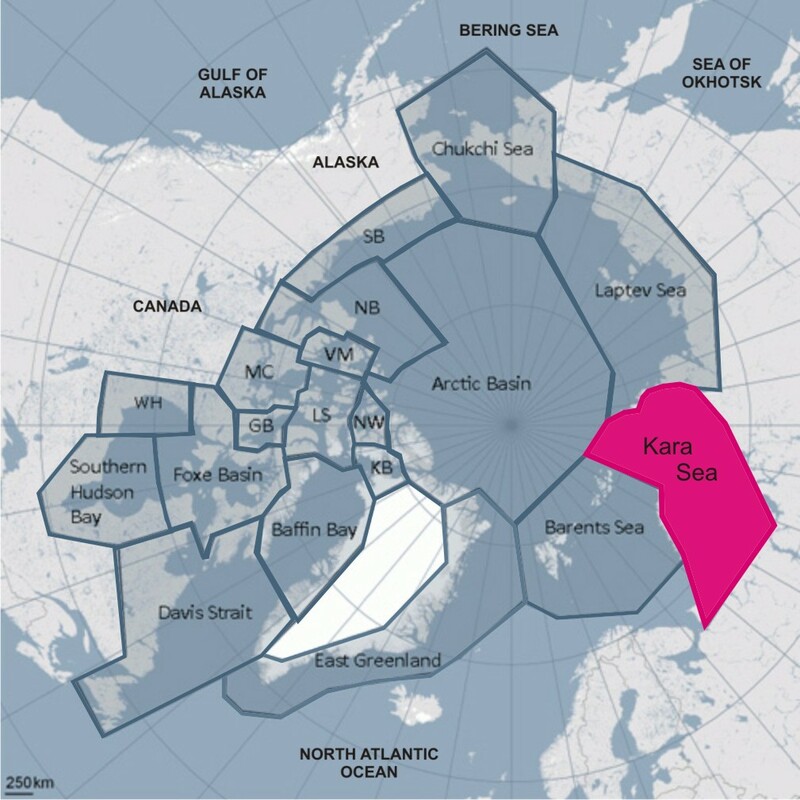 The first-ever population estimate for polar bears in the Kara Sea is an astonishing 3,200 bears (range 2,700-3,500). Russian researchers report the results in a new paper (Matishov et al. 2014, in English). Polar bear counts were made during late winter/early spring (approximately January to April) from ice-breakers between 1997 and 2013. Females with cubs (whether one or two) were noted. The counts were extrapolated to give a total for the entire region (as is usual for all such surveys). The question is, will the IUCN Polar Bear Specialist Group (PBSG) consider this new polar bear count to be reliable or complete enough to include in their next IUCN assessment?